Glory kickboxing heavyweight contender Hesdy Gerges is also making his MMA debut on this card. 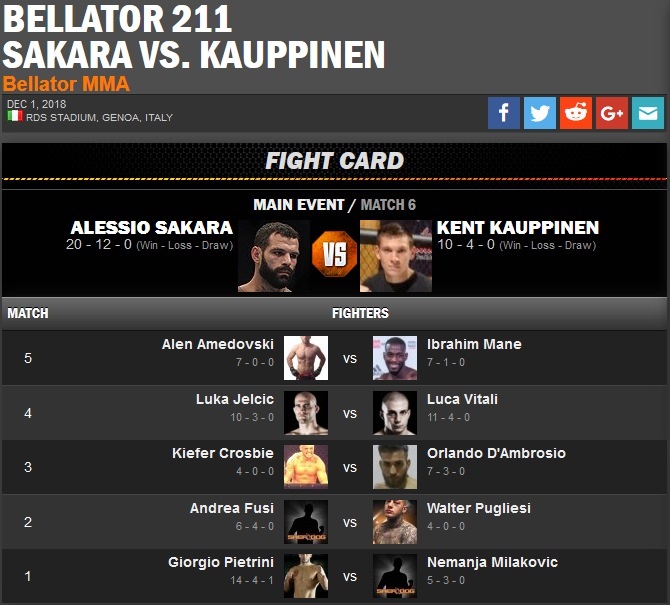 It's pretty lame that you can only watch the Bellator Kickboxing 11 card that precedes the MMA card via the Bellator app on your phone, but not on DAZN or Bellator's YouTube so that you can watch in full screen on your computer or big screen tv. There must be a way to make your phone screen play on your tv, but I don't know it offhand. Hopefully it's available to watch on delay since I am doing my UFN 142 Adelaide handicapping this afternoon and there appear to be no odds for this card yet anyway.